PRIME Minister Narendra Modi on Tuesday lambasted the Opposition parties for seeking proof of military operations against terror camps and remarked they appear spokespersons for Pakistan more than political parties representing India. 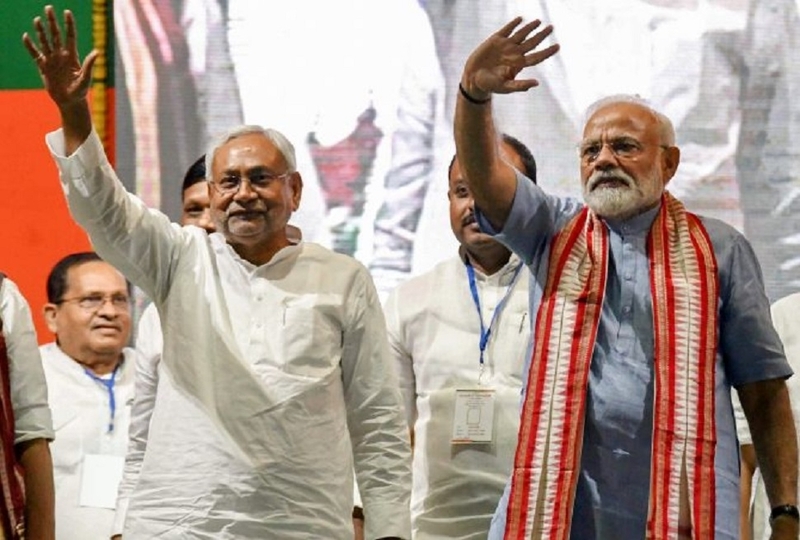 Addressing his maiden rally in Bihar after announcement of Lok Sabha polls, Modi said the electorate must decide whether they want the madadgars (helpers) of Pakistan to be in power. Those who are out to destroy the morale of Armed Forces by seeking proofs. He also hit out at National Conference leader Omar Abdullah for advocating restoration of the post of Prime Minister in Jammu and Kashmir, saying can any country have more than one PM. I would like the Congress and the RJD, which are part of the same mahamilavat gang, to come clean on the issue. The PM has been mocking ‘mahagathbandhan’ (grand alliance) of Opposition parties as ‘mahamilavat’ (highly adulterated). “They appear more like spokespersons for Pakistan than political parties representing India,” the PM said launching a scathing attack at the rivals for their comments post-Pulwama terror attack. The Prime Minister alleged that whenever the Congress has come to power in the country, whether on its own or heading an alliance, governance has gone into reverse gear. Growth rate has dropped while there has been a surge in terrorist activities, violence and accumulation of black money.